Commercial drivers must abide by specific weight restrictions regarding the total weight of their cargo based on the size of the vehicle. Under California Vehicle Code Section 35551(a) VC, having an overweight vehicle is a criminal offense that can carry significant penalties. Depending on the number of axles on the vehicle and distance between the furthest axles on the vehicle, the vehicle can have a maximum gross weight of between 34,000 and 80,000 pounds. In addition to the weights specified, two consecutive sets of tandem axles may carry a gross weight of 34,000 pounds each if the overall distance between the first and last axles of the consecutive sets of tandem axles is 36 feet or more. The gross weight of each set of tandem axles cannot exceed 34,000 pounds and the gross weight of the two consecutive sets of tandem axles cannot exceed 68,000 pounds. The distance between axles must be measured to the nearest whole foot. When a fraction is exactly six inches, the next larger whole foot is used. Nothing in this law would affect any highway, bridge or other structure from imposing stricter weight restrictions. Transit mix concrete or cement trucks, and trucks that mix concrete or cement at, or adjacent to, a jobsite. Motor vehicles that are not commercial vehicles. Vehicles operated by any public utility furnishing electricity, gas, water or telephone service. Trucks or truck tractors with a front axle at least four feet to the rear of the foremost part of the truck or truck tractor, not including the front bumper. Trucks transporting garbage, rubbish or refuge. Trucks equipped with a fifth wheel when towing a semitrailer. Tank trucks which have a cargo capacity of at least 1,500 gallons. AND trucks transporting bulk grains or bulk livestock feed. A man with a commercial license drives a semitrailer truck for a living. The man is behind on some of his deliveries and decides to load his vehicle with cargo in excess of the statutory weight limits applicable for his truck’s size. The man is stopped at a weigh station and found to have a gross weight in excess of the statutory weight limit for his vehicle. The man could be charged with having an overweight commercial vehicle in violation of California Vehicle Code Section 35551(a) VC. In another example, a man with a commercial driver’s license transports livestock for a living. The man passes through a weigh station and is discovered to have a gross weight exceeding the weight limit. This man would not be guilty of having an overweight commercial vehicle because those involved in the transport of livestock are exempt from prosecution. As discussed above, if the defendant operates one of the commercial vehicles listed above that is specifically exempted from weight restrictions, he or she would not be criminally liable under California Vehicle Code Section 35551(a) VC. An overweight commercial vehicle violation under California Vehicle Code Section 35551(a) VC can be either an infraction or a misdemeanor offense. If charged as a misdemeanor, the defendant can be sentenced to serve up to six months in jail if convicted. 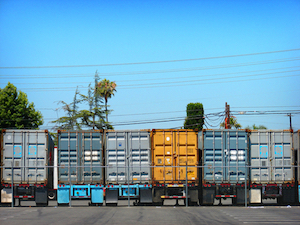 If you have been cited for having an overweight commercial vehicle, it is crucial that you speak with a Los Angeles Criminal Defense Attorney immediately. Los Angeles Criminal Defense Lawyer Michael Kraut is a former Deputy District Attorney with over 14 years of prosecutorial experience who knows how to effectively defend commercial drivers who have been charged with violations like this. For more information about overweight vehicle offenses, and to schedule your free consultation, contact Los Angeles Criminal Defense Attorney Michael Kraut at the Kraut Law Group located at 6255 Sunset Boulevard, Suite 1480, Los Angeles, CA 90028. Mr. Kraut can be reached 24/7 at 888-334-6344 or 323-464-6453.